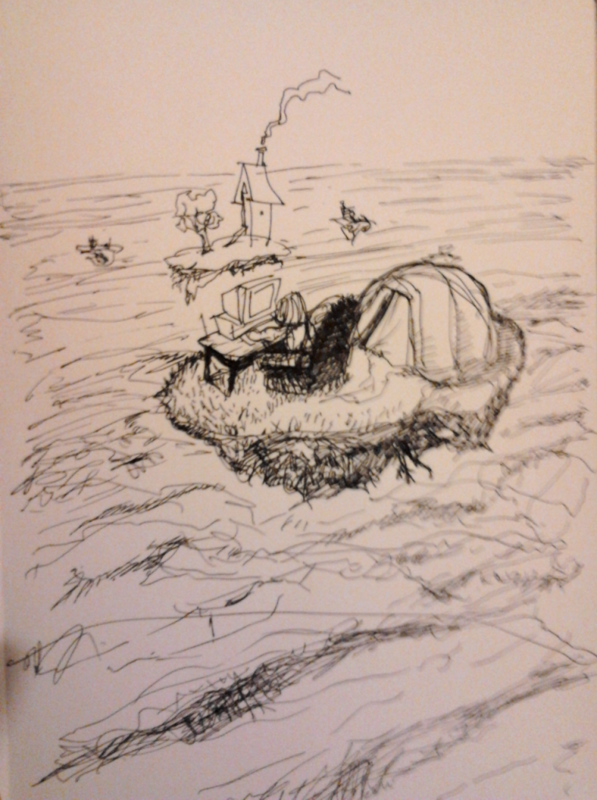 Drawing-a-day #3, Floating islands (in the sky) with people. Maybe it’s about isolation, maybe it’s about freedom. Maybe it’s not. But whatever it is, it is certainly not as pretentious as this caption.